In a few days Spring will Officially arrive. Therefore, it’s time for bright, colorful flowers, and pretty pastel clothes. Above all, it’s time to pack up the brown, neutral palettes . Anastasia Beverly Hills has a new spring eye shadow palette. When I look at the Anastasia Riviera Eye Shadow Palette shades, I feel happy. Spring is in the air. Furthermore, Anastasia’s inspiration for Riviera came from the colors of paradise. As a result, the Riviera Palette is the Ultimate Vacation Palette! In addition, the Riviera Collection includes three Loose Highlighters. The Loose Highlighters retail for $25. 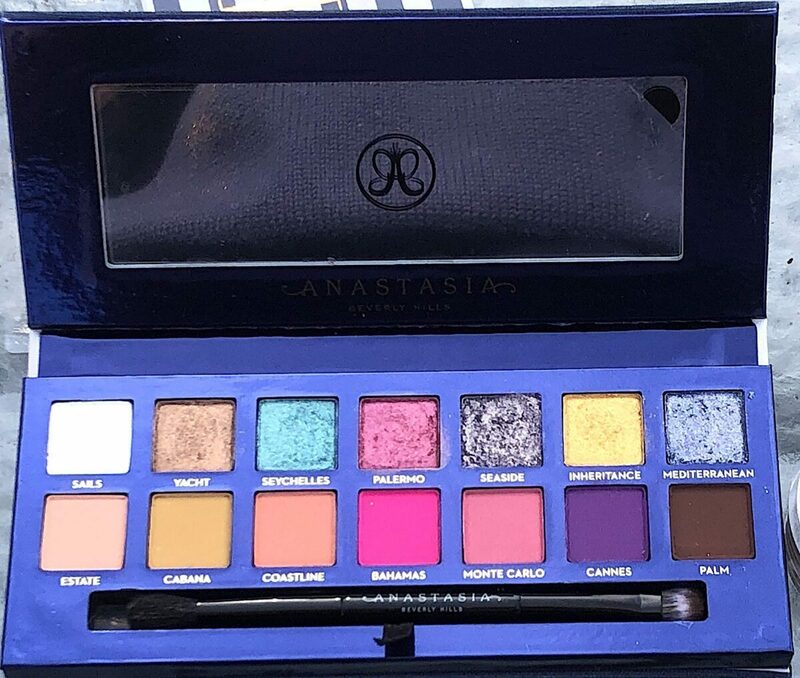 You can find the Anastasia Riviera Eye Shadow Palette, and Loose Highlighters at Sephora, Ulta, Macy’s, Nordstroms, and the Anastasia Beverly Hills Website. And, the Riviera Palette retails for $45. 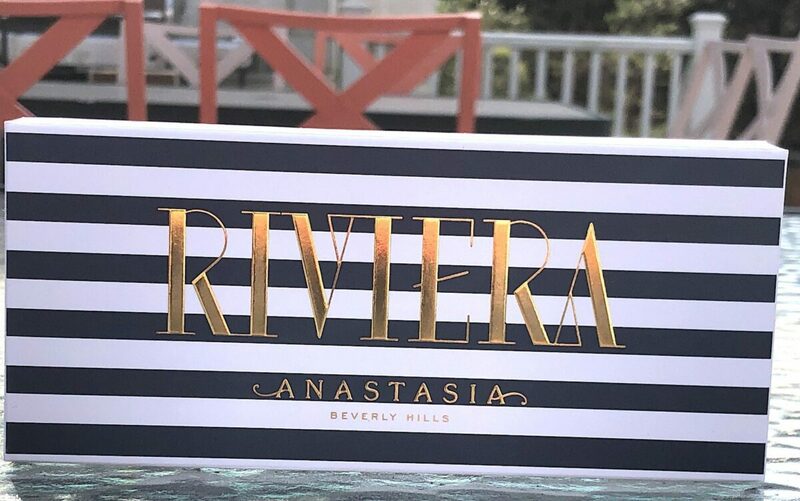 First, the packaging box shows the Riviera Palette on the cover. To describe, the Riviera palette design is nautical blue and white stripes. A canvas fabric covers the Riviera compact. Moreover, the canvas has nautical blue and white stripes. Specifically, the canvas covering the palette reminds me of beach umbrella. When I think of the Riviera, a French Beach Resort on the Mediterranean Sea, I see a beach covered with blue and white striped canvas umbrellas. Now, if that isn’t a vacation, nothing is! Opened, one side of the palette has a full-sized mirror. Also, Anastasia gives us a double sided application brush. One side of the brush is flat, the other side is fluffy. Therefore, the flat side is to apply the shadows. And, the fluffy side is to blend the shadows. Above all, the mirror, and the brush make the palette travel worthy. Unfortunately, a lot of palettes come without a brush. So, thank you Anastasia for including a brush! However, instead of excluding the brush, the shadows themselves are smaller than most palettes. In fact, the pans hold .73 grams, which really is small. Although, I rarely hit pan with these palettes. Maybe the reason is, I have so many palettes to play with, or the palettes have enough shades that I am not constantly using the same three shades. To start with, the palette has fourteen eye shadows. 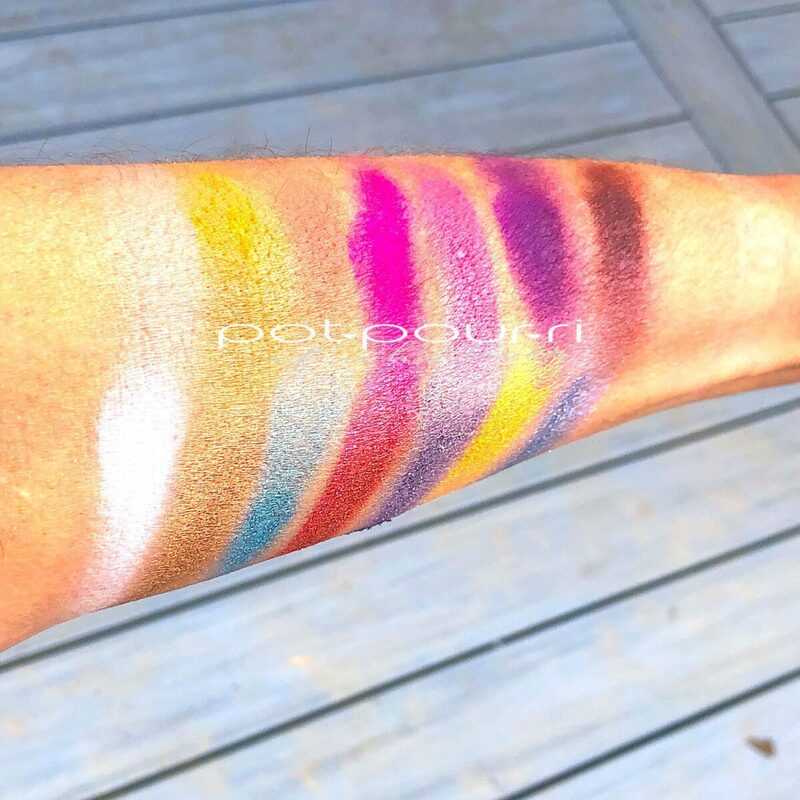 Three of the shadows are made out of pressed pigments. Also, three of the shadows are not FDA approved, to use on your eyes. Although, the European Union does not have these restrictions. These three shades contain red pigments. You can wear these shades as blush. Also, you can wear these shades on your lips. (If you live in the USA) However, if you live in Europe, you can wear all 14 shades on your eyes. The shade, Cabana, is the only color that has mineral oil in it. Finally, the shadows are buildable and blendable. Also, the shades are an opaque color. In addition, the full pigment formula gives high color payoff and intensity. Although the pigment is not so intense that you’d have no room to play! The shadows are smooth. None of the shades were patchy when applied. 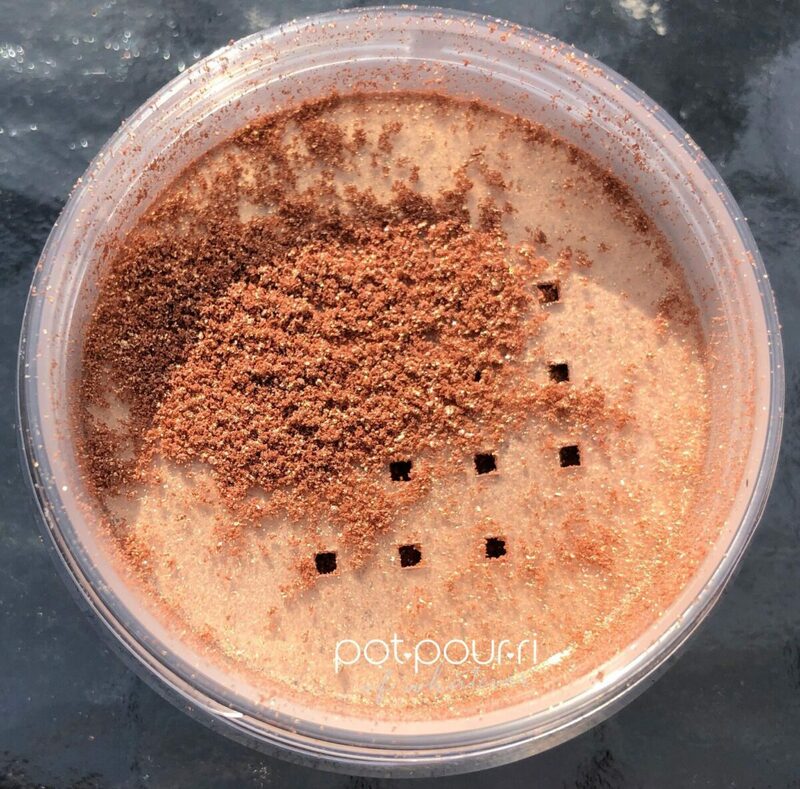 First, Anastasia’s new Loose Highlighter is a loose metallic powder. As a result, , the highlighter gives you an intense luminosity. Moreover, , the highlighter sparkles. Also, has more reflect because it is made with iridescent pearls. It is easy to blend, and you can layer it to make it more intense. It glides on your skin. Above all, it is safe to use on your eyes. To begin with, Sails is a white shade that has a matte finish. I like using Sails on the brow bone, and in the inner corner of your eyes. Next, Yacht, a mauve shade with a violet shift, has a duo-chrome finish. First, you can wear Yacht on your eyelids. Also, you can wear the duo-chrome shade on your lower lash line. Third, Seychelles, an aquamarine shade, has a metallic finish. Wear Seychelles all over your eyelids. Also, bring the shade up and into your crease. Additionally, you can wear Seychelles on your lower lash line. Also, Palermo, a jewel-toned pink, has a metallic finish. First, wear Palermo on your eyelids. Also, you can wear Palermo in the inner corners of your eyes. And, you can wear the jewel-toned pink shade on the center of your eyelids, to make them pop. Fifth, Seaside, an aquamarine shade, has a metallic finish.I love the look of Seaside on the inner corner of your eyes.. Moreover, you can wear it on your eyelids. And, you can try it on your lower lash lines. Sixth, Inheritance is a true gold shade that has a metallic finish. First, you can wear this true gold metallic shade on your eyelids. Also, put, over a darker shade , it looks great on your lash lines. Last, on the top row, Mediterranean, is a sky blue shade with a metallic finish. I love this shade all over your eyelids. Also, it looks great on your lower lash lines. To begin with, Estate, a soft pastel peachy-pink shade has a matte finish. Estate is so soft, it is hard to see. I suggest you wear it as a transition shade. Second, Cabana, a muted birch mustard shade, has a matte finish. I would wear Cabana in your crease. Also, use it as a transition shade. Third, Coastline, a soft pastel peach shade, has a matte finish. I like Coastline on the center of your eyelids. Also, wear it in your crease. Last. I’d also wear it on my lower lash lines. Fourth, Bahamas, a bright bold candy hot pink shade , has a matte finish. More important, Bahamas is one of the shades that the US FDA doesn’t approve of you wearing on your eyes. Therefore, wear it on your lips. Also, I love it as a blush shade. Fifth, Monte Carlo, a mid-tone cool-pink shade, has a matte finish. First, wear it in your crease. Also, I like Monte Carlo on the lower lash lines. Also, it looks good on your eyelids. On the other hand, you can wear it on the outer corners of your eyes. 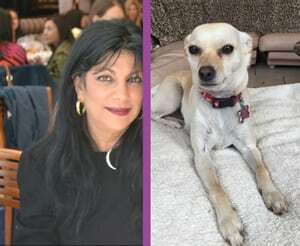 Sixth, Cannes, a bright violet purple shade, also has a matte finish. Cannes will look great worn on your lower lash lines. Also, it looks good in the outer corners of your eyelids. Also, try it on your lower lash lines. Finally, Palm, a dark, chocolate brown shade, has a matte finish. Palm is dark enough to line your upper and lower lash lines. Also, it looks great , to add definition to the outer corners of your eyes. Anastasia’s Shimmering Loose highlighter comes in three shades. 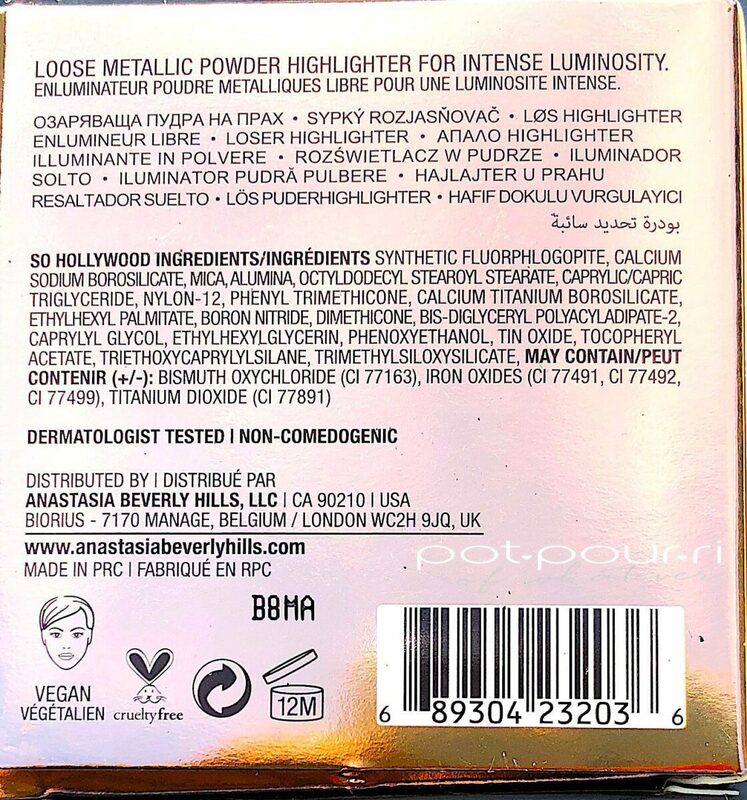 First, I purchase So Hollywood, a shimmering, metallic gold shade that has a sparkly, highly reflective finish. You can wear it on your cheeks. Also, it looks great worn on your eyes. Next, Snowflake, a shimmering metallic silver shade, has a sparkly, high reflect finish. 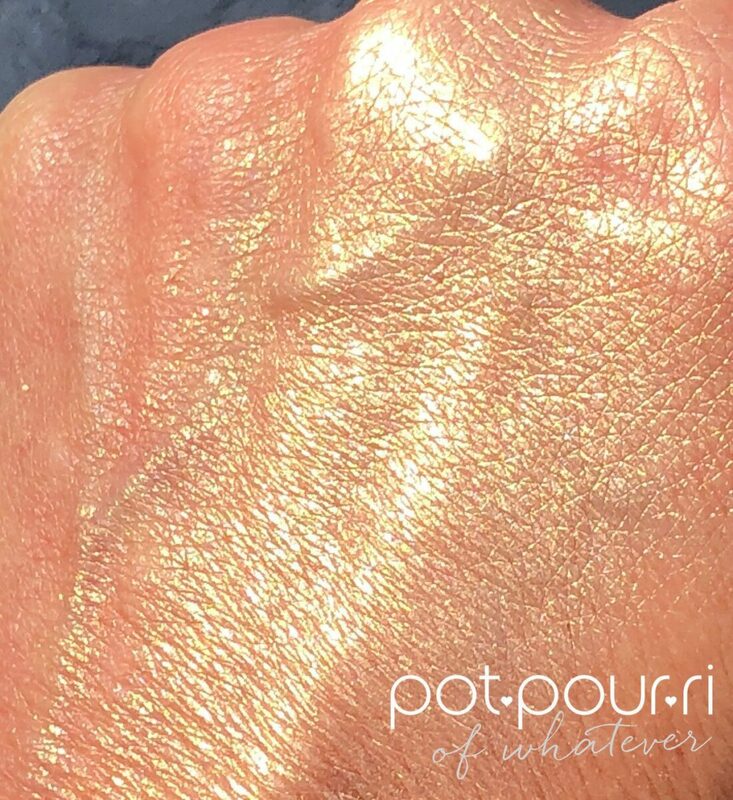 Last, Sunset Aura, a shimmering rose gold shade, has a sparkly, high reflect finish. 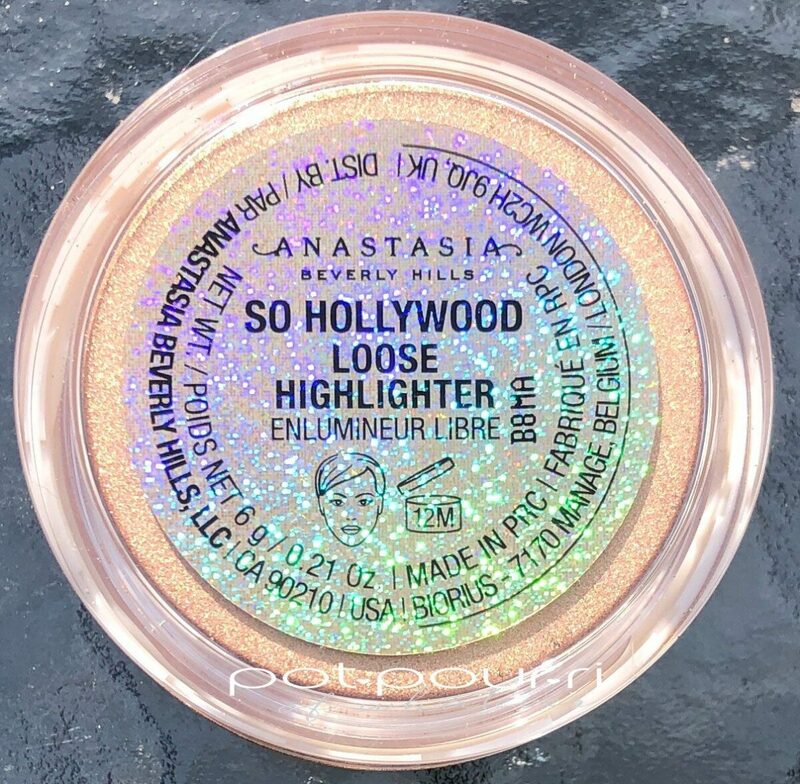 Anastasia Riviera Eye Shadow Palette and Anastasia’s Shimmering Loose Highlighter in So Hollywood Last But Not Least….. 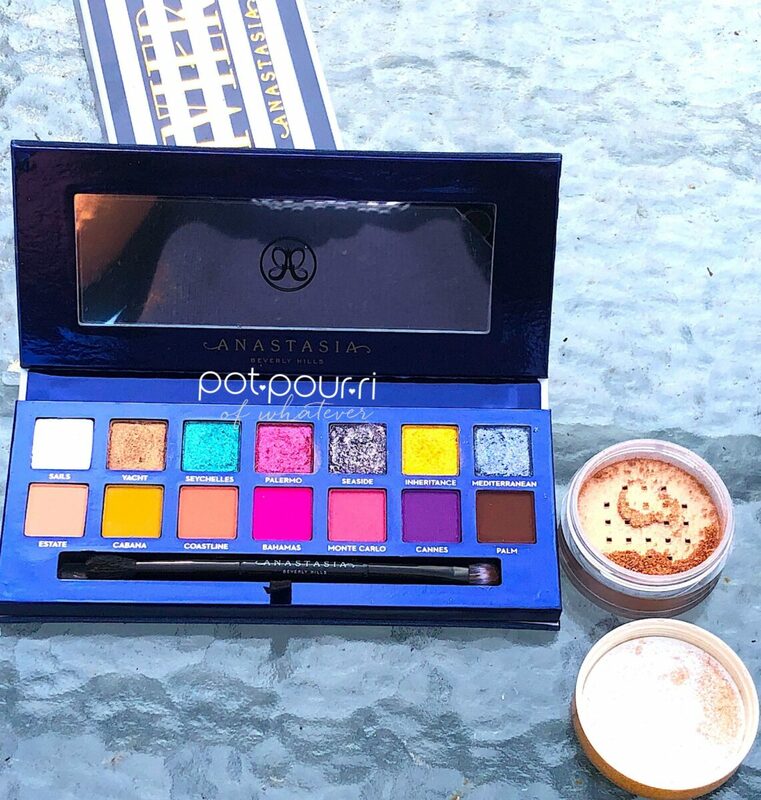 The Anastasia Riviera is a great palette to have if you want to add more color to your makeup! The variety of colors, and textures is alway fun. I love that the palette mixes pressed pigments, and duo chromes, with mattes and metallics. The palette is a great change from the neutral warm toned palettes I’ve been wearing since last fall. The fun spring colors are exciting. 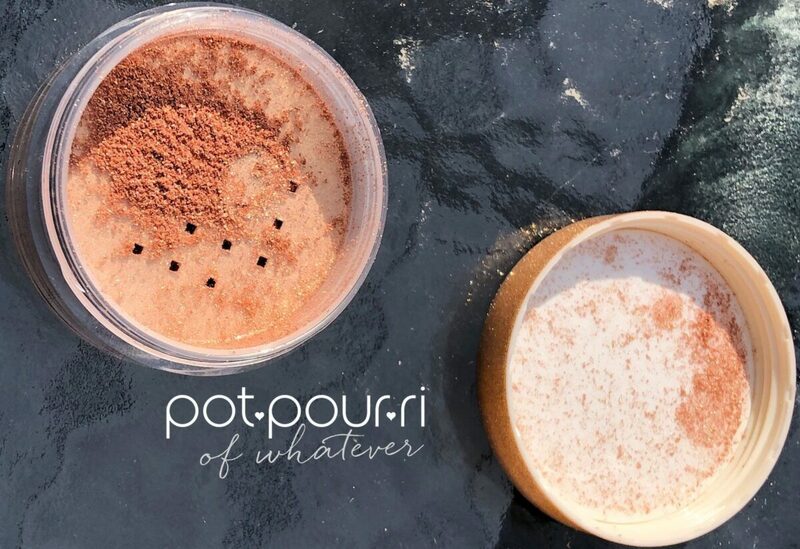 The pigments aren’t so crazy that you still have room to play with them. If you are from the United States, read the last sentence in the back of the box. to read the FDA warning! If you aren’t from the US, you don’t have to read it! Also, the Anastasia Loose Highlighter is shimmering, and sparkly. They are universal shades that will look good on every skin tone. The powders are finely milled. The formula is lightweight. Also, it has a soft, velvety texture that gives you a silky finish.